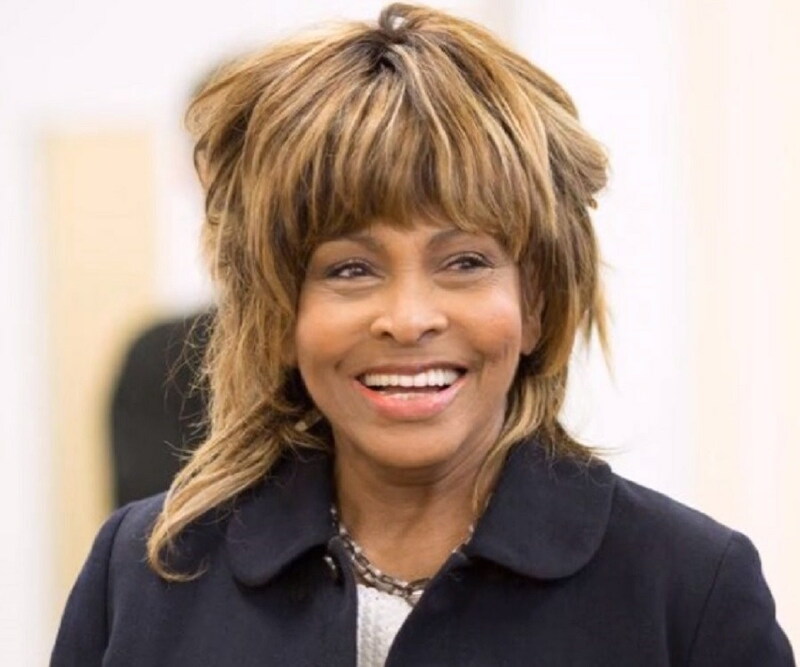 Tina Turner is an American singer, actress, dancer and author, who is also known as the ‘queen of rock’. Check out this biography to get detailed information on her life. 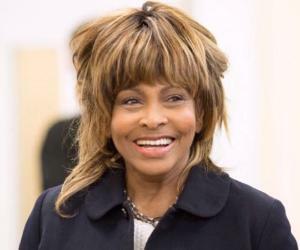 Anna Mae Bullock, popularly known by her stage name Tina Turner, is an American singer, songwriter, dancer, actress and author. She is one of the most popular female rock artists of the world and is known as the ‘queen of the rock’. Turner has received eight Grammy Awards in various categories and has been inducted in the Rock and Roll Hall of Fame and Grammy Hall of Fame. She has sold over 100 million copies of her albums worldwide, which is why she has been named as ‘one of the greatest singers of all time’ by Rolling magazine. 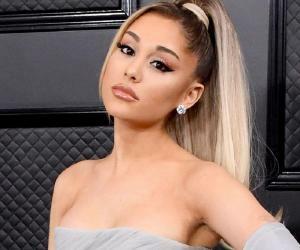 But all this success and fame was not easy to achieve for her––she had to start from scratch as she had no formal training in singing and music and on the top of that she faced a very difficult childhood. She met her husband, Ike Turner, when she was only 16, who helped her in getting recognized in the music industry and for many years she only sang duets with him. Her relationship with Ike was of abusive nature as he was a raging alcoholic and a cocaine addict. He used to beat her and emotionally abuse her. She went through a major downfall in her personal and professional life after getting divorced from him but thankfully she turned to Buddhism, which helped her concentrate better on her career. ‘Private Dancer’ is considered to be her comeback album, which sold 20 million copies and earned her prestigious awards. Turner is semi-retired now and has taken up the citizenship of Switzerland, which is where she lives now. 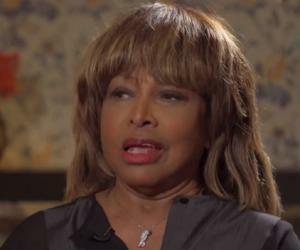 Tina Turner was born in Tennessee to Zelma Priscilla and Floyd Richard Bullock. Her father was an overseer of the sharecroppers. During World War II, Turner was separated from her parents and had to and live with her grandparents in Knoxville. After the war, her family joined her in Knoxville and she attended the Flagg Grove Elementary School. Turner had a knack for singing from a very young age and used to sing in the church choir. Turner’s childhood became chaotic when her mother ran away because of her abusive father. She was only 13 when he remarried and abandoned her and her sister. She went to live with her grandmother and worked as a domestic worker. She attended the Carver High School while living with her grandmother. When Turner was 16, her grandmother died and she had to go and live with her mother. She graduated from Summer High School in Missouri and dreamt of becoming a nurse. Turner used to visit nightclubs in St. Louis and at Club Manhattan she met here future husband Ike Turner, and his band ‘Kings of Rhythm’. Ike recognized her talent and gave her chance to record with him as a background singer in 1958. In 1959, she recorded a dummy vocal for Ike’s song, which was later sent to Juggy Murray, president of Sue Records. 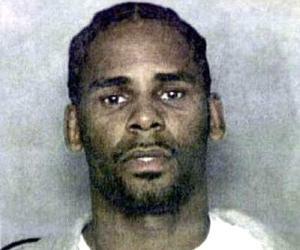 Ike was paid a large sum of money for the recording and publishing rights of the song. Turner and Ike started singing together and in 1960 their single ‘A Fool in Love’ reached at number 2 on the Hot R&B Sides and after that ‘It’s Gonna Work Out Fine’ earned them their first Grammy Award nomination. The duo became popular and went on to sign with Loma Records, a subsidiary of Warner Bros. Records in 1965. They gave live performances all over the United States and performed in shows like, ‘Hollywood A Go-Go’, etc. In 1965, she recorded the song ‘River Deep – Mountain High’ produced under Philles record label. The song became a big hit in the UK giving Turner an opportunity to do the opening for The Rolling Stones on their UK tour. Around that time, Turner and Ike’s albums, such as, ‘Outta Season’ and ‘The Hunter’ were gaining success. Their Revue also became popular through their shows in Las Vegas. These shows were attended by celebrities like, Elvis Presley, Elton John, etc. She signed with the Liberty Records in 1970 and came out with two albums, ‘Come Together’ and ‘Workin’ Together’ with Ike. They were becoming country’s favorite and were invited to be interviewed and perform at ‘The Ed Sullivan Show’. In 1974, Turner released her first solo album ‘Tina Turns the Country On!’ with the help of Bolic Sound Studios. The album was critically acclaimed and fetched her Grammy nomination for Best Female R&B Vocal Performance. Ike and Turner were still making more music together and they made a venture into gospel music, and released ‘The Gospel According to Ike & Tine’. It became an instant hit and they were nominated for Best Soul Gospel Performance. In 1974, Tina played the role of ‘TheAcid Queen’ in the London based musical ‘Tommy’. Her performance made her famous in the UK and in the following year she released her second solo album ‘The Acid Queen’. From 1975 to 1978, Turner went through a rough period because her marriage with Ike was crumbling down as he was a raging alcoholic and cocaine addict. It affected their professional association and Turner stopped performing with him. Turner tried renewing her career with her cabaret-styled performances in Vegas with the help of United Artists Records in 1978. She also started appearing on the shows like, ‘The Hollywood Squares’, ‘Donny and Marie’, etc. In 1978, her third album ‘Rough’ was released under the same record label. It was followed by ‘Love Explosion’; unfortunately both the albums failed to impress her fans and she decided not to renew her contract with the company. In 1981, with her newly formed association with Roger Davies, Turner was showcased at The Ritz, New York. 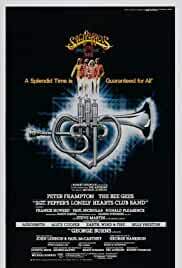 This gave her an opportunity to perform with Rod Stewart, first on ‘Saturday Night Live’ and then on his US tour. In 1983, after signing with the Capitol Records, Turner released ‘Let's Stay Together’. The single was a huge hit in Europe and America, putting her first solo single to chart. She signed a three album deal with the record. In 1984, she released ‘Private Dancer’, which is considered to be her comeback album, selling about 20 million copies worldwide. The hit single from the album ‘What’s Love Got to Do With It’ earned her a Grammy Award. 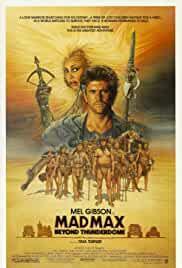 Following the success of her album, Turner appeared in the movie ‘Mad Max Beyond Thunderdome’ in 1985. The movie was a huge success and her acting skills were honored with the NAACP Image Award for Outstanding Actress. In 1986, she released another hit album ‘Break Every Rule’, which ended up selling four million copies worldwide. In the same year she published her autobiography ‘I, Tina’ and received a star on the Hollywood Walk of Fame. She made history by performing with Paul McCartney in front of the largest paying audience in Maracana Stadium in Rio de Janeiro in 1988. She earned a Guinness World Record for it. In the following year ‘Foreign Affair’ was released. 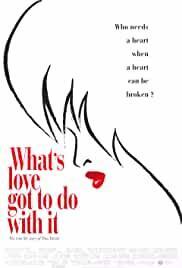 In 1991, Turned signed the rights for the production of the movie ‘What’s Love Got to Do with It’, based on her and Ike’s relationship. 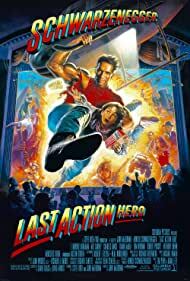 She also helped the female protagonist with her costumes and taught her dance moves. She worked with the band U2 in composition of the song for James Bond movie, ‘Golden Eye’ in 1995. Following the success of that, ‘Wildest Dreams’ was released and it went gold in the States and platinum in Europe. In 1999-2000, she appeared on the VH-1 special ‘Divas Live '99’ and released ‘Twenty Four Seven’. She launched a tour with the album which helped it in going gold in the States. The tour grossed her over $100 million. Turner was honored by the Kennedy Center Honors in 2002 and various artists paid tribute to her that night including Oprah Winfrey, Melissa Etheridge, Queen Latifah, Beyonce and Al Green. President George W. Bush also appreciated her. 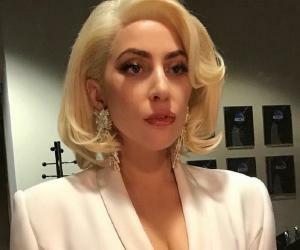 In 2008 she performed with Beyonce at the Grammy Awards and won a Grammy as a featured artist on ‘River: The Joni Letters’. In the same year, she embarked on her first tour in ten years, ‘Tina! : 50th Anniversary Tour’. Turner attended the Giorgio Armani show in Beijing in 2012 and in the following year appeared on the cover of the German issue of Vogue magazine. She is known to be the oldest person worldwide to appear on Vogue. ‘Private Dancer’, Turner’s fifth album, released in 1984 is considered to be the breakthrough album of her career. It gave her the worldwide success at the time when her career suffered a major setback after she got divorced. Turner earned four Grammy Awards for her album ‘Private Dancer’ and the hit single ‘What's Love Got to Do with It’, etc. has become her signature track. The album was a bestseller both in the United States and internationally. Turner won 8 Grammy Awards, including 4 for her breakthrough album ‘Private Dancer’, one of it for the hit single ‘What’s Love Got to Do with It’. She won another Grammy for the soundtrack of ‘Mad Max Beyond Thunderdome’. Turner is a Rock and Roll Hall of Fame inductee, and her recordings, ‘River Deep – Mountain High’, ‘Proud Mary’ and ‘What's Love Got to Do with It’ are in the Grammy Hall of Fame. Turner had her first child, Raymond Craig, in 1958 when she was 18. Pregnancy out of wedlock agitated her mother and she threw her out of the house. She went to live with her future husband Ike Turner. She got married to Ike in 1968 and became stepmother to his sons from former marriages. 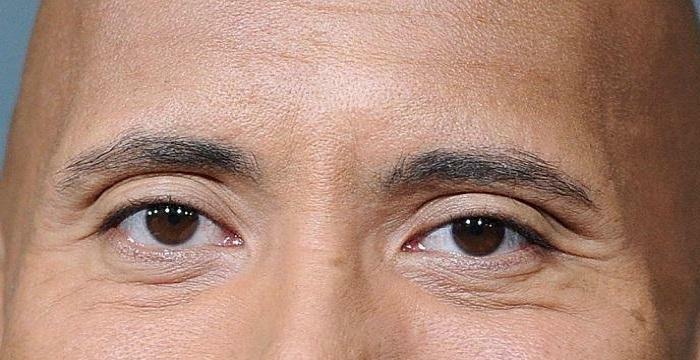 The couple had a son together, Ronald. The relationship, as described by Turner on several occasions, was of abusive nature and they got divorced. Turner is a Buddhist and chants ‘Nam Myoho Renge Kyo’. Because of her abusive relationship with Ike, Turner tried to commit suicide by swallowing 50 Valiums. She became a Swiss citizen in 2013.